How would you like to enjoy the unique experience of a personal chef in the comfort of your very own home? 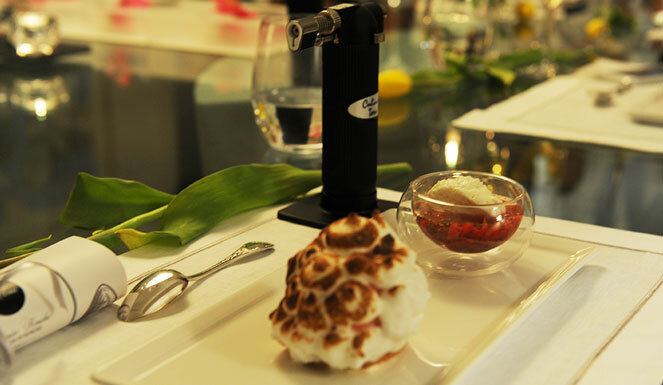 Top Chef Cooking Studio offers the utmost in personal chef services in the United Arab Emirates. Pick your special occasion and we will take care of each and every detail to make it memorable. From menu planning, purchasing the ingredients, cooking and serving, to leaving your kitchen spotless… we take care of everything – including dedicated table decoration, a subtle art mastered by our team that will make your dinner party an unforgettable social event. Let’s make your dream dinner party come true! A couple of days beforehand, our chef will come and visit you at the location of your dinner party to check the workspace and, more importantly, get a sense of your style, tastes, wishes and expectations. 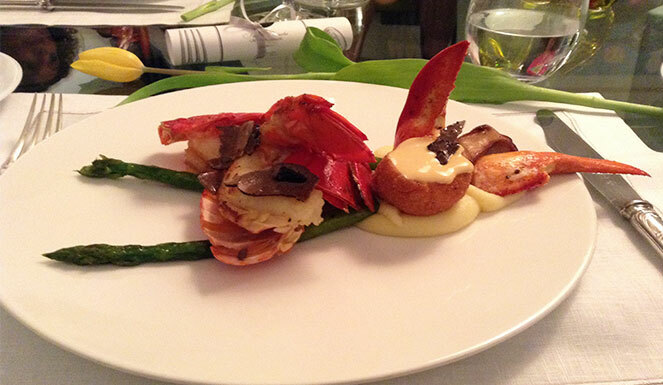 Depending on the style of your dinner, you can opt for the ”Menu Gourmand” or the “Menu Epicurean”. Finally, the best part is designing your personal menu together and choosing mise-en-bouches, starters, mains and desserts from a tantalising selection recommended by our chef. What else? Our chef will offer professional advice to help you pair your menu with the drinks that will complement it perfectly! For fine gourmets. From 6 to 20 guests. We need one week’s notice to make sure your dinner meets all your expectations so please book in advance!